FRAME MATERIAL: a durable wrought iron frame for long product lifeDESIGNED FOR COMFORT. Take your outdoor relaxation to another level. This chaise lounge has three plush and luxurious cushions that are sure to provide comfort that will keep you lounging for hours! VERSATILE FUNCTIONALITY. 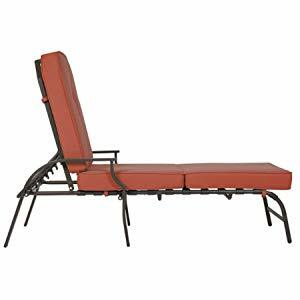 The backrest of this chaise lounge has 5 adjustable recline settings ranging from almost upright to flat (ranging from 77”(L) x 32”(H) to 64”(L) x 45”(H) ), perfect for when an afternoon of lounging turns into an afternoon nap. DURABLE CONSTRUCTION. 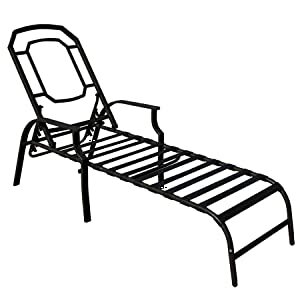 This chaise lounge is constructed of solid steel able to support up to 250 pounds. 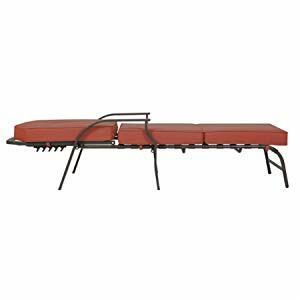 Includes weather and stain-resistant removable cushions that will look new even after heavy use. WEATHER-RESISTANT FINISH. The frame has a water/rust-resistant powder-coated finish protecting it from anything the weather throws at it. It’s guaranteed to withstand the elements – whether rain or shine. After a hard day of work, taking time to relax on the elegant and comfortable Kozyard Maya Lounge Chair is the ultimate reward. Our chaise lounge features a modern, yet classic design and is constructed of high-quality materials designed to last for years to come. Five adjustable recline settings range from almost upright to flat, ensuring this elegant item will meet all of your outdoor seating needs. This is also stackable for easy carry or storage. Don't spend another minute in your outdated, uncomfortable patio furniture. Upgrading to the Kozyard Maya Deluxe means bringing a new level of chic comfort to your garden, patio, deck, or backyard. Grab an iced tea, along with a good book, and enjoy the long summer days in our deluxe, cushioned lounge chair. 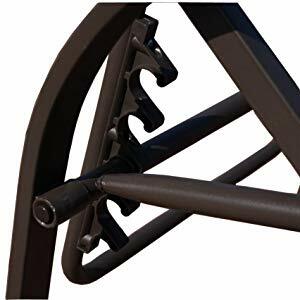 Durable wrought iron frame colored with a beautiful dark brown, targeted design for long service life with water/rust-resistant powder-coated finish, protecting it from anything the weather throws at it – whether rain or shine. 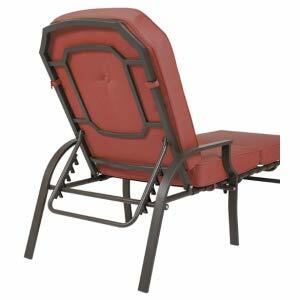 This chaise lounge is constructed of solid steel able to provide extremely strong and stable support, up to 250 lbs. Ideal lounge chair for patio, porch, poolside or garden. This chaise lounge includes three plush and luxurious cushions to ensure a comfortable experience that will keep you lounging for hours! This high-quality cushions provide great but soft support for your body and take your outdoor relaxation to another level. Seat and back cushions have straps which can be fixed in place. The weather and stain resistant removable cover of cushions will look new even after heavy use. 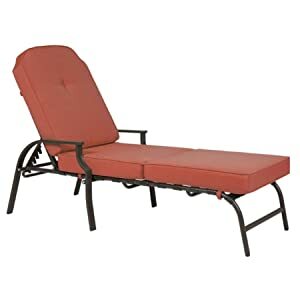 The backrest of this chaise lounge has 5 adjustable recline settings to offer various position and posture which you can choose for yourself: ranging from almost upright to flat (ranging from: 77” L x 32” H to 64” L x 45” H), perfect for when an afternoon of lounging turns into an afternoon nap. This is also stackable which can be folded all the way down for easy carry or storage purpose. Amazing choice for studying, reading books and enjoying the sunshine.